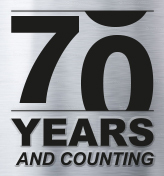 Vacuumatic have been designing and producing specialist paper counting machines for the high security paper and paper counting industry since the early 1950s. We manufacture our own range of twin head and single head security paper counting machines for bank notes, passport paper, tax stamps and any documents that need a high level of security. Why use our paper counting machines? Our paper counting machines are capable of counting speeds of up to 10,000 sheets per minute on paper or polymer. They can count, batch and insert tabs on printed or unprinted paper with watermarks and foil security threads and on banded and un-banded bank notes. What do our paper counting machines count? Vacuumatic paper counting machines can also count in 1,000 sheet paper stacks, piles or bundles, 500 sheet paper stacks, piles or reams, 100 sheet paper stacks and piles and full sheets. We also make the rotary note counter, which is a heavy duty paper counter for loose banknotes, specially developed for security printers, central banks and commercial banknote processing operations. The Rotary note counter can count and batch 75,000 notes per hour. For further information see our Vicount range, Tornado Range or Super 30 range security counting machines or contact us for more details.